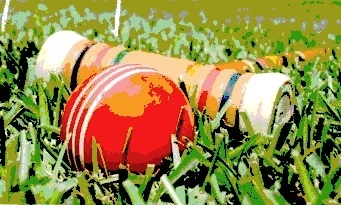 Those lazy days of summer have arrived…what could be better than croquet? San Marino Community Church is sponsoring an end-of-summer community-wide croquet tournament, August 22 and 23, raising funds for school supplies for young residents at Union Station’s Family Center. Competitors between the ages of 6 and 106 are eligible. Play is in teams of two, so sign up with a partner, or singles will be matched up. Trophies will be awarded for top honors. Forgotten how to conquer the wickets? The Mitchell family will be offering lessons on the lawn south of SMCC’s campus (1750 Virginia Road) from 6-8 p.m. on Wednesday, August 19 and Friday, August 21. Come for one lesson or both: we will offer tips on croquet rules, strategy for team play, and fancy shots. If you have one, bring your own mallet; otherwise, necessary equipment is provided. Depending on the number of entrants, there will be pool play or single-elimination brackets. You will be contacted with your assigned start time. Questions? Call the Mitchells at (626) 284-5552. TOURNAMENT: AUG 22/23, 1750 Virginia Rd.